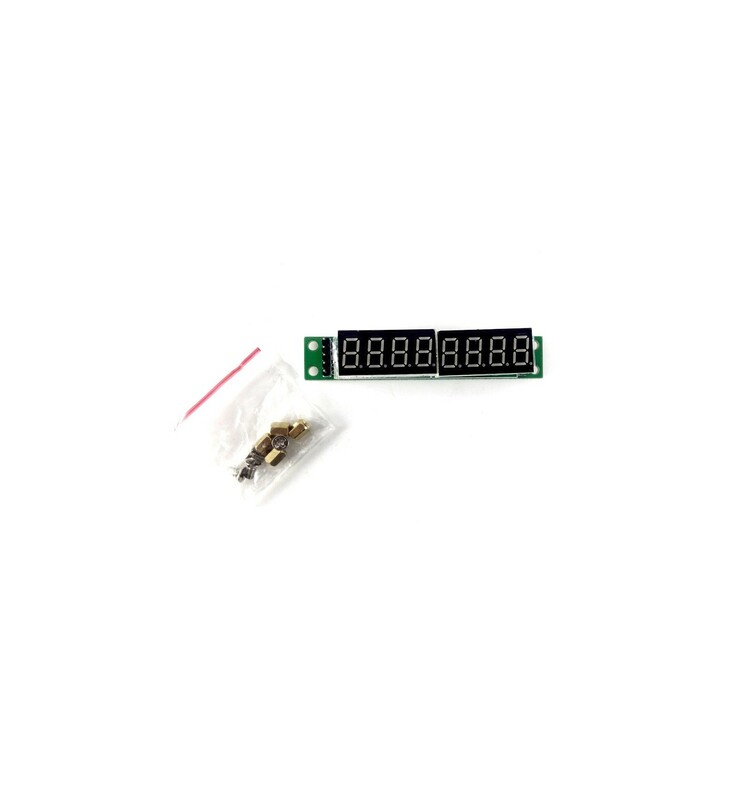 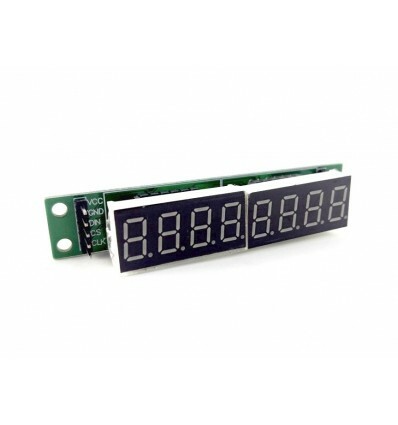 MAX7219 is an integrated serial input / output common-cathode display drivers, which connects the microprocessor and 8 bit 7-segment digital LED display, you can also connect a bar graph display or 64 separate LED. 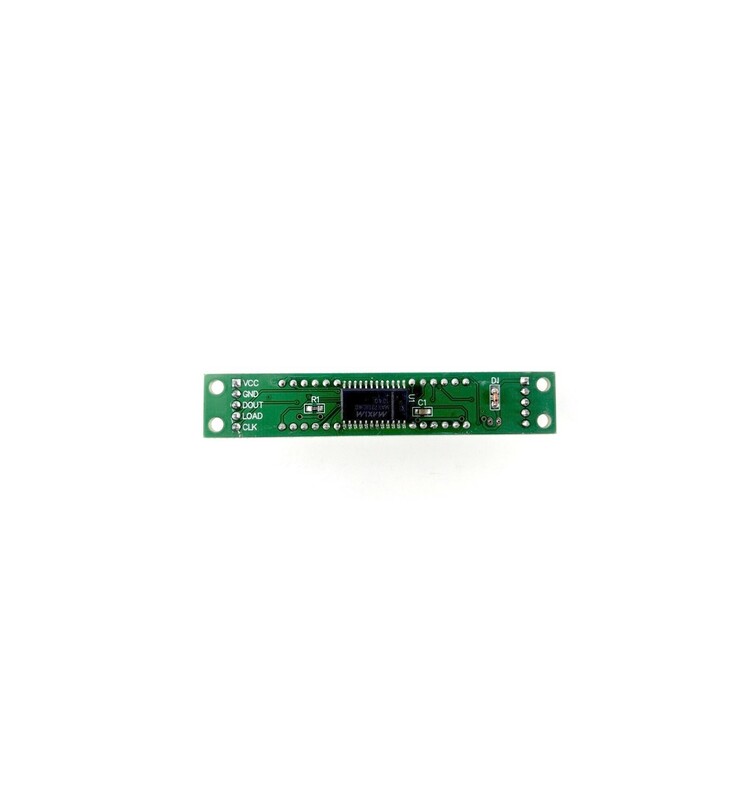 Includes an on-chip type B BCD encoders, multi-channel scanning loop, segment word driver, but also a 8x8 static RAM that stores each data. 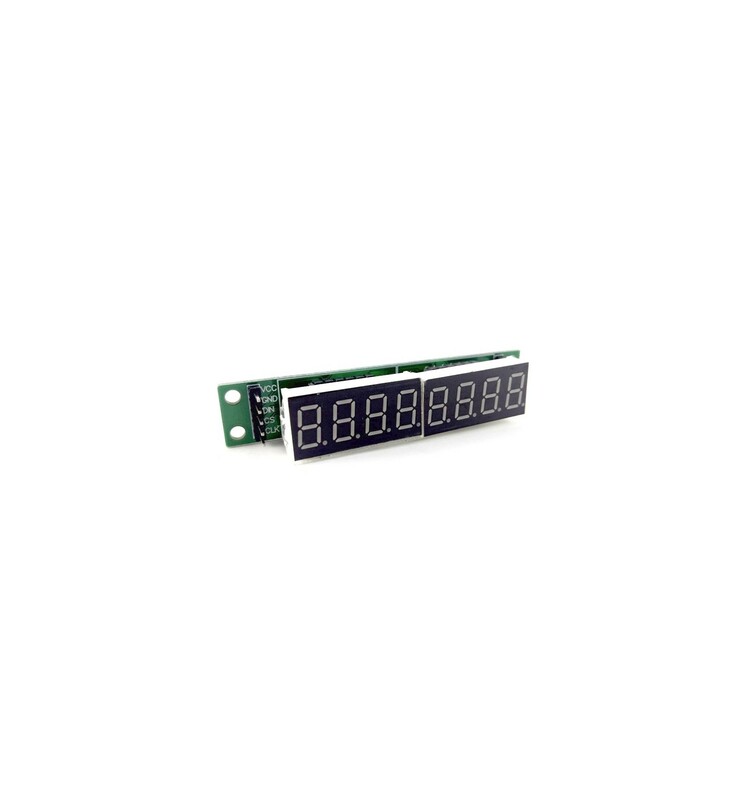 Only one external register is used to set the current of each LED segment.